Finding the best indoor compost bin is a challenge. Yet, with so many choices, there’s usually one that will stick out the best choice for you because it best fits your indoor composting needs. As someone who is environmentally conscious, you can choose to compost indoors due to situations like cold weather. Or you have no choice but to compost indoors due to your current living situation prohibiting you from composting outdoors. Keep in mind that space may be an issue if you wish to compost indoors. So if you find yourself in search of an indoor compost bin, consider space saving as one of your priority needs. Does It Make Worm Tea? 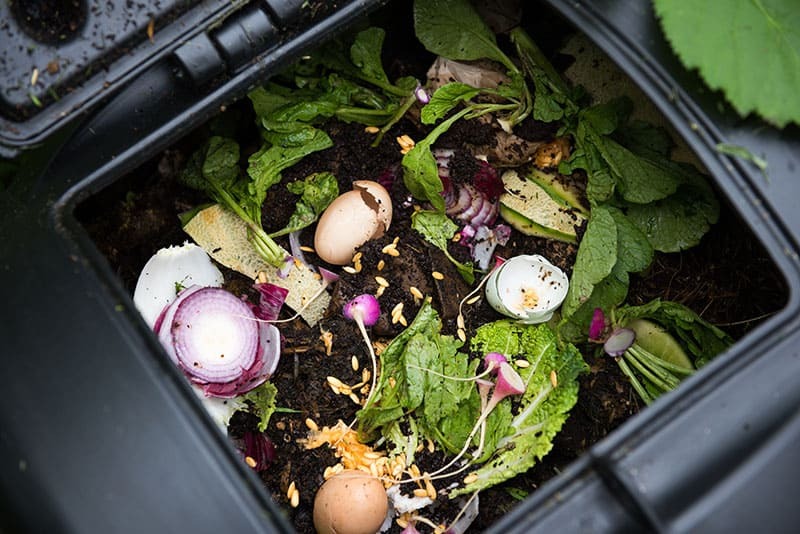 If you’re using the vermicompost method, you’ll be using worms that will feed off of food waste, cardboard, and other materials that make compost. If you want to give your plants and soil the nutrients they need, worm tea is your best friend here. It also works as a natural insecticide to ensure that it prevents bugs from destroying your plants and even invading your home. While some compost bins will have a special draining compartment where you can make your own worm tea, this is the best feature to have if you want to save money and elect not to spend $10 a gallon on worm tea. You’ll be throwing away food waste. When most foods decompose, they will leave a foul odor. You don’t want something as unwelcoming as the smell of rotten food hanging around in the air at your home. So it’s important to find a composting bin that will keep the compost airtight and has an active charcoal filter. One of the major problems with composting is the likelihood of bugs you may attract while rotten food is sitting inside the compost bin. One of the usual invasive insects is fruit flies, which are hard to get rid of. That’s why it’s another important reason to find a bin that not only has an airtight lid and an active charcoal filter. Even though most of the lids have holes, their purpose is to ensure airflow inside the bin. They shouldn’t pose as a problem as long as the bin does it’s job eliminating odors. Not every compost bin is made from the same materials. Compost bins come available in ceramic, stainless or carbon steel, or plastic. Now you’re probably asking, what’s the difference? One major difference is how well it can absorb odor. A compost bin made from ceramic or steel will do an excellent job of keeping odors at bay. At the same time, bins made from these materials can also ensure easy cleanup. Plastic compost bins may be hit or miss. For example, some bins will be made from plastic that is BPA-free, while others are not. Plastic bins are also susceptible to stains. Unless if the bin is constructed to resist odors, plastic bins may also cause odors to seep out. The size of the compost bin should depend on the size of your household. If you have a small family of three, you should consider a small compact bin that is around 0.85 gallons in size. If you have a large family, then you’re better off getting a bin that is anywhere between 1.3 to 15 gallons. If you opt for a small sized bin, you can easily store it just about anywhere in your house. You can choose to store it on the countertop, on the floor, under the kitchen countertop. In the winter months, it may be too cold to do any kind of composting outside. If you usually compost outdoors, don’t let Old Man Winter discourage you. You can still create compost and provide the best nutrients for your plants. One of the major advantages of an indoor composting bin is because it thrives in a controlled environment. In other words, you control the temperature in your home. These bins work effectively in temperatures between 40 to 80 degrees. Since the average room temperature is 70 degrees, you should have no problems. Outdoor compost bins won’t work so well in the winter because the cold weather will slow the degrading process. They need to be well-insulated when temperatures reach less than 40 degrees. At the same time, you’ll need to protect your bins and piles from direct sunlight and heavy precipitation. If you live in a small space like an apartment, you can store your indoor compost bin just about anywhere in your home. As long as you have a dry, dark space in your home, you should be in good shape. Some of the places to consider for storage include a closet, underneath your kitchen counter or even on the counter itself. What Material Is It Constructed From? As mentioned earlier, the material that the bin is constructed from will play a major role in your bin’s overall performance. You should think about the one thing that you want to avoid while composting inside your home (i.e. odors in your home, fruit flies, etc.). Although it was mentioned earlier about plastic having its ups and downs, it should not discourage you in the slightest. Find out if it’s constructed to hold in odors as opposed to leaking them. Which One Fits Your Method Of Composting? Are you aerobic composting or vermicomposting. If you’re vermicomposting, you’ll need a bin that will give your worms a place to live while they feed on food waste or whatever else you throw in for composting. Not to mention, worm castings (or waste) is the byproduct of what makes worm tea. So you’ll need a bin that can allow you to drain the worm tea from your bin. The advantages of vermicomposting are that the composting process is faster, has less of an odor, and can even be down both indoors or outdoors. Aerobic composting is composting that uses microbes like bokashi or from gardening soil that will convert your food scraps into compost. The decayed organic matter can be used for fertilizer for your plants. The prerequisites depend upon which type of composting method that you’ll be using. If you’re vermicomposting, obviously you’ll need worms like mealworms or nightcrawlers. They will be used to feed on the food scraps or paper products that you dispose of. You can also use a microbe known as bokashi, which can be purchased separately. If you’re looking for a composting bin that you can use for year-round use, you’re in luck. The SCD All Seasons Indoor Composter is a 5-gallon, .67-cubic-foot, 640-fluid-ounce bin that is easy to transport and comes with an airtight lid for faster fermentation and decomposition. The bin comes with a strainer that ensures that moisture released by food scraps to easily drain out, so your compost doesn’t spoil. This bin comes with a spigot that you can use to drain the compost tea easily, so you can use it as a plant fertilizer or use as a natural household chemical for cleaning. The All Seasons Indoor Composter can blend in well with any environment. Whether it’s your apartment, household, business, or restaurant, you can store your bin just about anywhere. Aside from a 5-gallon bin, the All Season Indoor Composter comes with a one-gallon bag of All Seasons Bokashi that will help the break down all your food waste. The bin is made from high-quality plastic, but thanks to the airtight lid, the likelihood of odors leaking out like some other composting bin is non-existent. Composting with bokashi is very easy and requires little maintenance. If you are a huge advocate for Bokashi composting, then choosing the All Season Indoor Composter is a no brainer. For a plastic bin, it’s easy for clean up and keeps odors at bay. Spigot allows for easy tea drainage without the clogging. May not be ideal for a small living space like a studio apartment. May take a long period of time for you to get a good amount of compost tea. Our next bin is for the user who relies on the vermicomposting method. The Worm Factory 360 comes with four trays that can be expanded to eight, making it the largest of any home composter in terms of volume. The lid not only does it’s job holding odors in place, but it also doubles as a stand that you can use while you are harvesting the compost. The bin comes with a worm tea collector that can easily be drained using the spigot. This bin has trays stacked together for storing your compost. Once a tray is full, you can stack an empty one on top and repeat the process as necessary. The Worm Factory 360 has the ability to house thousands of worms which will happily feast on your food scraps, paper waste, and even cardboard to create a fertilizer rich in nutrients that will , in turn, create better soil quality for your plants and outdoor gardens. Best of all, they work around the clock and every day to produce compost that is rich in microbes and water-soluble plant nutrients. The Worm Factory 360 is easy to set up, and management is a breeze. All you need is 15 minutes or less a week to maintain your Worm Factory 360 bin. It’s versatile enough to be your ideal compost bin for both indoor and outdoor setting. However, worms will only work in conditions where temperatures run between 40 to 80 degrees. If you live in an area where extreme heat is common (temperatures 90 or above), you’re better off using this indoors regardless of the time of year. Made with 100% recycled products, the Worm Factory 360 works very well indoors and will keep the odors in rather than leak out if you manage it correctly. Can be used both indoors and outdoors, thus making it versatile. Ideal for households with 1 to 4 people. Only good for small worms, not for night crawlers. Not ideal for outdoor use if you live in an area where it gets really hot in the summer. Like the previous compost bin, the Vermihut has stacked trays. The only difference is that it has 5 trays stacked on top. Because of the stackable design, you will get the smallest footprint for high compost efficiency, making it a very environmental-friendly composting bin. The bin can house up to 10 pounds of worms that will feed on at least 5 pounds of food scraps per day. Since the worms feed on bacteria, you don’t have to worry about odor leakage. 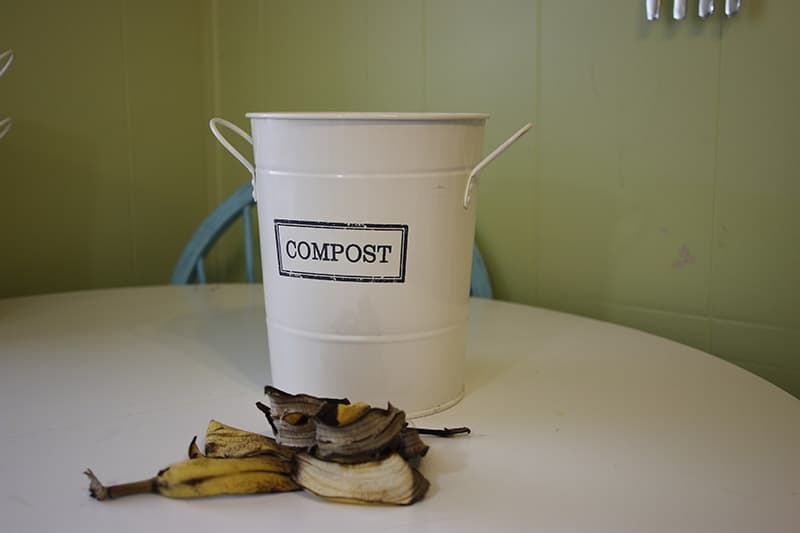 Like the Worm Factory, you can use the bin in both an indoor and outdoor setting, so you can make your compost year-round and won’t have to wait for months on end to do it again. If you worry about your worms not getting enough oxygen, the VermiHut is designed to provide superior quality air flow thanks to the bin’s special design. The design also comes with a special lid to ensure that your compost is made in a moisture-controlled environment. If you worry about your worms falling through and ending up in the liquid tray, the Vermihut has a built-in “worm saver” so worms stay in the bin and never leave by way of the spigot. You can easily train your worm tea from the spigot and use it whenever you want so your plants or your garden gets the nutrients it needs to stay healthy. Easy to maintain and requires little attendance. Great air circulation allowing worms to breath more. In one review, the VermiHut tends to be five degrees warmer compared to the Worm Factory. In hot conditions, this could be enough to kill your worms. In another review, some users have complained about having to put fabric on the tops or bottoms of trays to prevent fruit flies from gaining access. Once again, we revisit the Worm Factory brand. Only this time, this comes with a moisture meter, a pH meter, and a thermometer. With these tools available, you will have full control of optimizing the worm composting process. Not only that, you’ll know exactly when your worms are either composting in good conditions or if they’re in danger due to the climate your bin is stored in. In order to measure the pH and temperature of your content, you can simply use the 9-inch probe. So you don’t have to worry about putting in the guesswork while maintaining your worm farm. The Worm Factory comes with a standard 4-tray size but can be expanded to 8 trays. Like the other Worm Factory, you can start by adding worms and organic waste to the bottom of the tray. Once the tray is filled, just simply fill more organic waste in the next tray up so the worms themselves can work their way upward. Typically, the bottom tray can take up to 3 months before. But depending on the waste you add to the tray, it may take a short amount of time. This is perfect for keeping in your kitchen because you can simply dispose of all your cooking scraps once all is said and done. Just remember to add paper products, so you are able to give your worms a much more balanced diet. And last (but certainly not least), it comes with a liquid tray that can easily be drained using the attached spigot. Built in moisture, pH, and temperature gauge adds extra convenience. Ideal for those who are planning on starting a worm farm. Though it can be used for both indoor and outdoor purposes, it may not be ideal for outdoor use during hot months. Some user complained that the liquid tray could leak from time to time. If composting with worms is not your thing, don’t worry. You can even create compost with just one touch of a button. The Food Cycler is equipped with a new and improved Filter Monitoring System. If you always worry about changing filters all the time, you won’t have to with the Food Cycler. This can easily reduce kitchen waste up to 90% of its original volume. Since no worms are required for this bin, there’s no need to drain or vent. Your kitchen compost will be ready to give your soil the nutrients it needs in as little as three hours. Because it is odorless and lightweight, the Food Cycler might just be the ideal indoor composting bin for you. Even better, it’s a lot better than outdoor composting which may attract some scavengers. While you also use the Food Cycler, you are also doing your part in making the environment much better. That’s because food waste can be associated with the creation of harmful greenhouse gases. Using the Food Cycler to dispose of your food waste will reduce the emission of methane gas. Not only will you be helping out your plants and gardens with nutrient-rich soil, but you’ll be saving the environment in the process. If you’re an environmentally-conscious individual, but hate the idea of composting by way of the vermicomposting method, then the Food Cycler will serve you well in the long run. Can create soil-ready compost with one touch of a button. An environmentally-friendly composting bin that reduces methane gas emissions. One reviewer complained that it doesn’t do a good job grinding dry food. The process to turn food waste into compost may take longer than 3 hours as it may depend on what is being wasted. This is a better indoor composting bin to have inside than one that literally says “compost”! Hopefully, no one mistakes it for the ceramic cookie jar. The Silky Road Composting Bin is made from powder-coated carbon steel to give it that vintage look. Not only does it give you that look made for a kitchen countertop, but it is also guaranteed to last you a long time. When you’re ready to clean it, you can use just soap and water. Perfect to store on your kitchen countertop, office, or just about anywhere you can think of storing a composting bin. At nearly 9 inches tall and 9 inches deep, this bin is large enough to hold up to a few days worth of food waste. For its size, this bin won’t get in the way or take up too much space. With charcoal filters and an airtight lid, no odor will escape from the bin. This comes with 7 charcoal filters that will last you a long time. You don’t have to worry about having to change them often. If you want a compost bin that your friends, neighbors, and family can compliment you on, then you should get the Silky Road Composting Bin. This not only gives your kitchen a little bit of personality, but it’s also the perfect bin for the person who loves to save as much space as possible. Not the kind of bin that can take up space on your kitchen counter. Made from carbon steel, making it a most durable, long lasting bin. Some have complained about the bin possibly chipping or denting. One reviewer complained that fruit flies were able to gain access into the bin. Who said kitchen countertops are not the best place for a compost bin? The Chef’n is a 3.3-liter ceramic countertop composter that is perfect for someone who lives in an urban setting and can’t be able to do their composting outdoors. So if you live in an apartment building, but need to keep the soil in your houseplants rich in nutrients, the Chef’n could be your bin of choice. This bin will look great on countertops and won’t take up too much space. Perfect for someone who wants to save a ton of space. The drafted bucket shape is designed to allow food scraps to slide out without making a mess. With your Chef’n, you get two vented charcoal filters that work to absorb odors, so they won’t attract any unwelcome insects into your kitchen. When it comes time to clean it, all you need to do is rinse the bucket with warm water and let it dry. If you want a compost bin that is small, compact, and gets the job done with your food scraps, the Chef’n might just the newest addition to your kitchen. This is also an excellent compact bin for the user who is always thinking green. Bucket design is perfect for no-mess disposal. Small enough to be stored away on a kitchen countertop without taking up much space. One reviewer complained about the handle being of little use while dumping. Charcoal filters may not always stay in place while you dump the compost and may fall out. If you had a compost bin that frustrated you because it didn’t do a good job keeping out the flies, the Full Circle Fresh Air Odor-Free Kitchen Compost Bin is worth looking at. Its patented design allows air flow through while at the same time, you won’t deal with any odor nor any flies that are attracted to it. At 1.5 gallons, this is perfect for either your home or the office. It comes with five, ready to use compostable bags. Because of these bags, this bin will usually stay clean. And you won’t have to worry about changing the bags frequently since one will last you about a week or so. When it comes ready to clean, you can break down the bin into three parts and toss it in the dishwasher. And with one press of the button, the lid swings open so you can quickly toss your food scraps into the bin. If you want a compost bin that will stay durable for a long period of time, that won’t stink and keeps the annoying fruit flies away, consider the Full Circle Compost Bin. This bin might just be the very last compost bin you’ll ever buy. Some reviewers have said that this bin stays strong after 2 to 3 years of use. Keeps the odors out and the fruit flies away. You’ll have to buy more bags after you run out of your initial supply. Because of the grooves inside the bin, the bag may get stuck while trying to remove it. 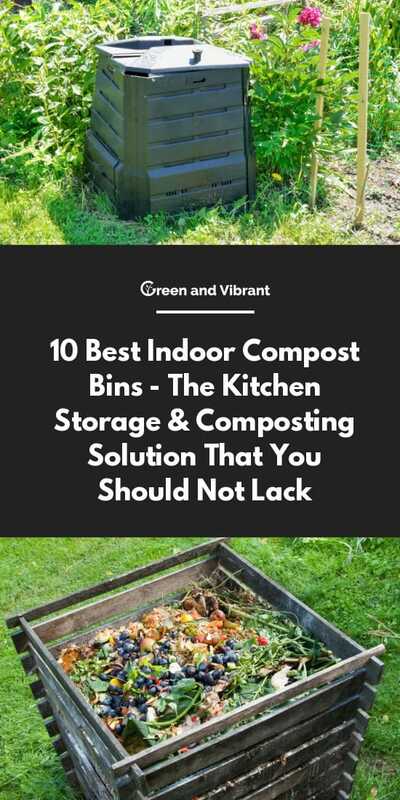 Imagine having a compost bin that you can use for a week or two and not worrying about attracting flies, pests, or bad odors into your home. The Utopia Kitchen Stainless Steel Compost Bin can do just that. At 1.3 gallon, this bin can hold food scraps and can be allowed to sit in the bin for a week without creating any problems. The Utopia is made from high-quality stainless steel so it is durable and will last you a long period of time. You won’t have to worry about it chipping, cracking, or scratching. And unlike most plastic containers, this bin does not harbor any level over bacteria or leach any harmful chemicals. You can store this bin on your kitchen countertop or anywhere else. This comes with charcoal filters to ensure that your bin does not smell and in turn, prevents flies or pests from invading your home and gaining access. At nearly three pounds, it’s lightweight and easy to carry while you dump your compost or clean it. If you want a compost bin that is designed to last you a long time and keep the odors and invasive vermin at bay, you won’t be disappointed with the Utopia. Stainless steel construction helps this compost bin last for a long period of time. Very lightweight for easy carrying and transport. Not ideal for the dishwasher. So if you need to wash it, do it by hand. Some reviewers were not too pleased with the design of the lid. Finally, we look at another stainless steel compost bin. The Epica is constructed with stainless steel. The material is strong enough so it will last you a long time. No longer will you have to worry about finding a replacement because of it breaking, scratching, or chipping. Even better, it is resistant to rust and leaks. The lid is designed to provide quality airflow while the charcoal filters go to work to keep the odors to a minimum while your food waste is being composted. This bin is 1.3 gallon and is measured at 11 inches high, which is perfect for countertops or wherever you wish to store your compost bin. This is a lightweight bin that will allow you to carry while you empty the bin or clean it. It is designed beautifully and matches very well with a lot of kitchen decors. So you don’t have to worry about the bin feeling a little out of place with the rest of the kitchen. If you want an indoor compost bin that will last you a long time, the Epica just might be the one compost bin that’s perfect for your home. Made from stainless steel for long-lasting durability. Charcoal filters will typically last you a while, given you superior odor protection. Some reviewers have complained about the lid design, particularly the vented holes. Might be too large for kitchen countertops, so ideal to place under the counter. Choosing the best indoor compost bin depends on a few factors. It depends on the method of composting that you want to use. Indoor composting is a much better option as opposed to outdoors because you are doing this in a controlled environment. Your indoor temperature will always be perfect for composting, especially for the worms which feed on your kitchen scraps. Remember, a compost bin that is designed for vermicomposting may not be as useful if you decide to compost without worms.